Best plan for tourists, relatives, parents visiting USA or traveling worldwide. Free instant quotes, review rates, apply and buy insurance online. No medical check-up or paperwork needed to purchase policy. Cheaper fixed benefit plans or affordable comprehensive coverage. Policy covers individuals and families outside home country. Short-term visitor insurance plans from U.S. based providers for individuals and families visiting America, best for relatives and parents visiting USA. Expatriate health insurance offers worldwide medical coverage, suits expats, missionaries, and global citizens who live and work around the world. For international students who are studying outside their home country, meets university requirements for foreign students on F1 Visa in the United States. Provides coverage for new immigrants, US green card permanent residents, who are not eligible for U.S. Health Insurance or Medicare coverage. Popular plans offering best visitors insurance benefits for relatives and parents visiting USA. 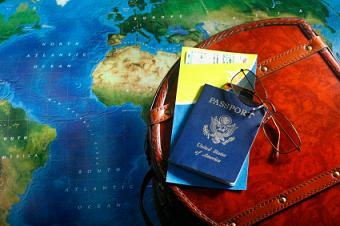 Visitor insurance coverage for visitors to USA and travelers outside country of citizenship. Buy visitor medical insurance plans for visitors to USA & travelers to America, are designed to provide coverage for medical expenses incurred for sickness or accidents while visiting USA from foreign countries such as India, China, Russia, Canada, Brazil, Mexico, etc. Medical bill expenses at U.S. providers is not cheap, and healthcare expenses for sickness or illness, injury or accident in United States can lead to financial burden and undue stress for the visiting individual and/or immediate caregiver family living in USA. A visitor insurance USA policy helps immensely, and no medical exam is required for applying and for enrollment into a qualified US visitor insurance plan that covers hospital expenses, doctor fees, and prescription drug charges, medical evacuation and repatriation benefits are included also. Many US visitor insurance plans offers direct cash-less settlement of claims, and health care providers can directly bill the insurance company for the eligible medical charges. Insurance claims support is available 24/7, 365 days of the year, and customer service is supported by American visitor insurance company which are based in USA. US visitors insurance provides short-term travel medical coverage for visitors to USA by insuring any health risk due to unforeseen medical expenses while in the U.S., policy also offers coverage for visitors during travel to any foreign destination outside home country. Insurance providers have designed an array of plans specifically for US visitors and travelers worldwide that feature basic fixed to comprehensive benefit. The plan premium cost depends on many factors including the age and gender of the applicant, choice of basic or comprehensive coverage opted, maximum benefit amount, and any optional riders included.